The log cabin sits not a mile from where June T. grew up. It’s an idyllic, peaceful place for her six pet llamas that supply the fiber June uses to felt rugs: the older Tiza and Alex and then the new little girls: Hyacinth, Daisy, Rose and Violet. The llamas were cozy under their thick wool but window comfort problems kept June from being as snug in her own home. 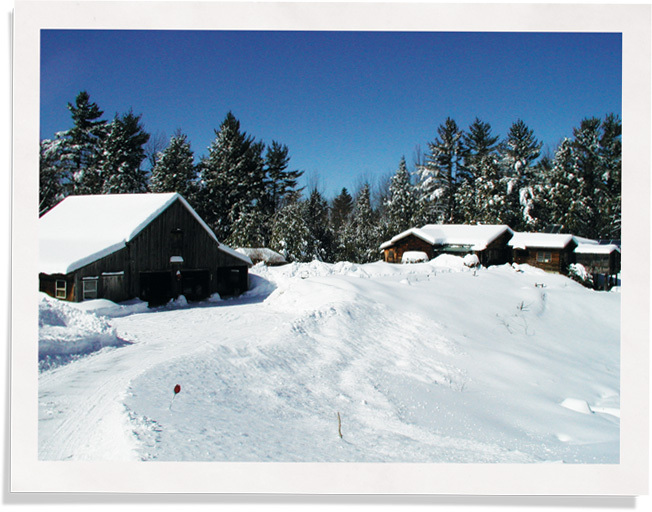 But the drafts blew through the windows in the Northern Vermont cabin and the crafting got cold in the winter. June tried her own log cabin insulation ideas: she installed clever, homemade exterior storms made from sheets of glass but these were heavy and required her to climb a ladder. That had started to feel dangerous. She bought a new furnace. Pierre Martelle from Green Mountain Zerodraft insulated and air sealed. Then June decided to search for window insulation inserts. Pierre suggested she use Indow window inserts to block the drafts and so she bought them for every one of her 18 windows. – June T., Northern Vermont. The drafts are gone and there’s no longer any condensation on the windows. 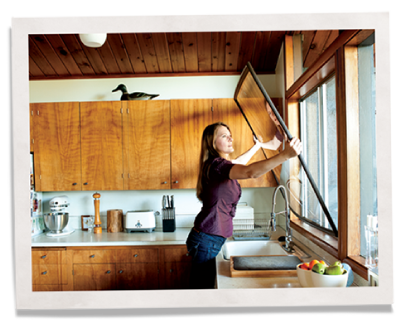 When Pierre decided to do a blower door test to see how the Indow window inserts performed, the two of them easily removed them all out and then put them back in, in just minutes. That test showed that the Indow inserts created a dramatic 450 cubic feet per minute reduction in air infiltration. 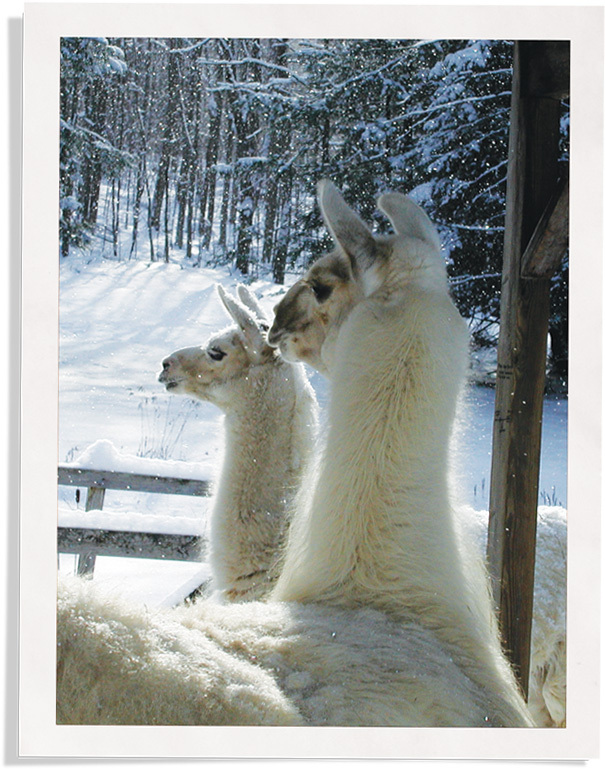 Some in June’s crafting circle have been raising llamas for upwards of 25 years and they’ve become tight-knit group. 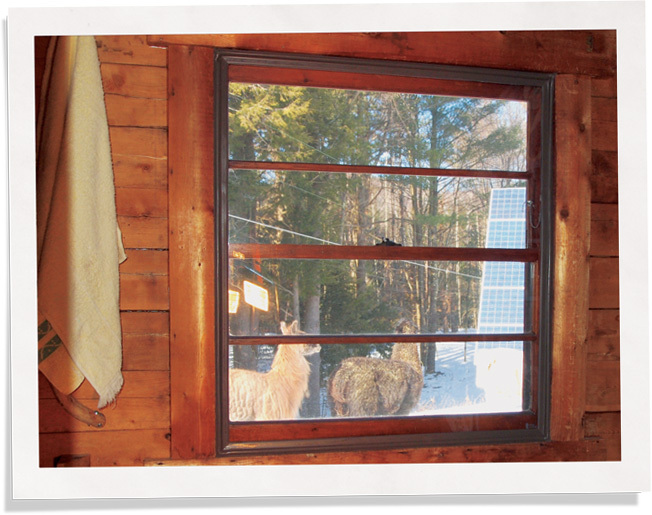 When she later asked, “So, how do you like my new window inserts?” they couldn’t see them and wanted to know “‘Where are they?” June who chose a brown silicone gasket to blend with the woodwork said, “They really do not show.” One llama friend liked the inserts so much she ordered some to insulate her own windows.